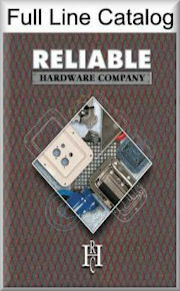 Reliable Hardware Company is pleased to present the most comprehensive presentation of DIY Road Case videos available. Your host, Andy Striker of AFW Cases, presents easy to understand, detailed instruction on every facet of basic Road Case construction. Each segment was Directed, Shot and Edited by Daniel Treharne. We review all our projects before publishing them, but ultimately your safety is your responsibility. Always wear protective gear, follow the tool and product manufacturer’s instructions, and follow all laws and regulations.